Do you know why thermometers are important? Infants and young children can get seizures and brain damage when fevers spike too high. This means you have to make sure you have reliable monitoring so that you know if and when a fever spikes. In order to truly know what is going on with your child’s temperature you need to be taking your baby’s temperature every thirty minutes to know whether a fever is decreasing or whether it’s beginning to spike to have a true sense of your baby’s well-being. This is why nurses at a hospital always come in a room every thirty minutes to monitor temperature. And as parent, you know that this comes with stress is exhausting and this is the time where you need your energy to take care of your little one. The good news is, there is an easier way! infanttech, has utilized technology and turned the conventional thermometer into a smart thermometer! The infanttech smarttemp is a Bluetooth thermometer that provides you with constant monitoring and fever alerts so you can care for your baby with true peace of mind. It is easy to use and comes at a great value- it comes with the smarttemp, a carrying case that keeps the thermometer clean and turned off when not in use, it has a three-year battery life with no charging required, and it includes 15 sticky pads to secure the thermometer. Additionally, when you use two smart devices - one near your baby (i.e a tablet or second phone) and your phone with you, the smarttemp has unlimited range. The smarttemp not only provides you with baby’s temperature you can also get alerts when it’s medicine time, log medicine dosage so you don’t forget when you gave your baby medicine, but most importantly, you will be notified with an alarm when a fever spikes – This allows you and your baby to get very valuable sleep! All included in the Free downloadable App! All this information is available without disturbing your child! Using the smarttemp is like having an on-call nurse at home! 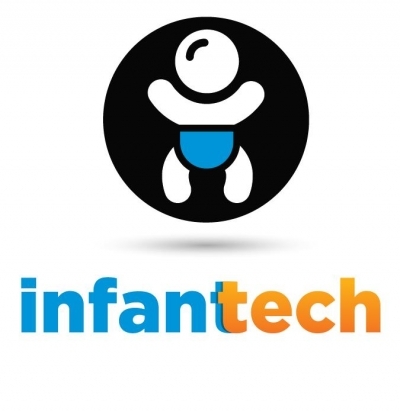 Infanttech is a juvenile product company founded by two parents with one mission: offer smart and innovative products that create confident parents. By utilizing the latest technology available, Infanttech designs and develops products that are versatile and fun. Infanttech is confident you will love the smarttemp! Infanttech are also makers of the Zooby, the unique and portable monitor to use in cars!